Using templates as the basis for new projects saves time and encourages consistency. How to create placeholder projects that can be used as the basis for future projects. 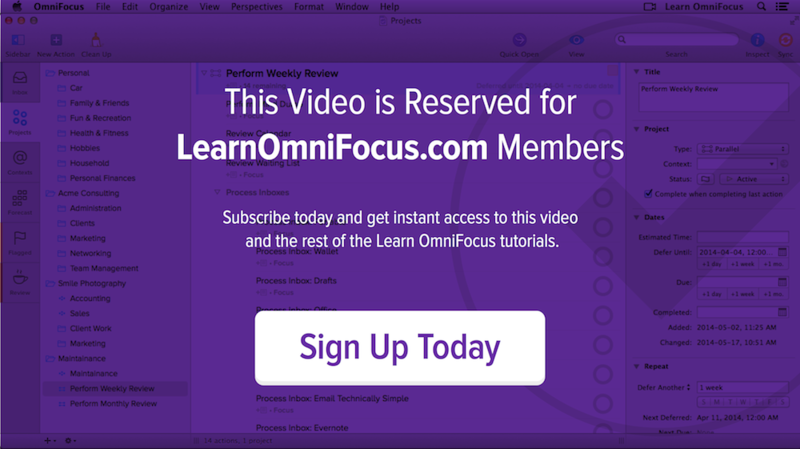 How to install the free Populate Template Placeholders AppleScript, written by Omni Group engineer, Curt Clifton (requires Pro edition of OmniFocus 2 for Mac). How to use this script to create templates containing placeholder text that is replaced with project-specific information. How to use this script to create projects containing defer dates that are calculated automatically. How to use this script to create projects containing due dates that are calculated automatically.